Cable TV news is as popular as it has ever been and the biggest gainer of the big three cable networks is MSNBC. The NBCU network grew its prime time audience by more than half a million viewers this year (+550,000) versus 2016. 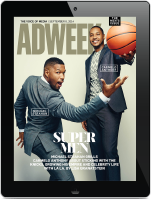 No other cable network saw that type of year-over-year total audience growth. MSNBC finished 2017 as the third-most-watched basic cable network in Monday – Sunday prime time, only behind powerhouses Fox News and ESPN. The network also finished No. 3 in total day viewers, behind Fox News and Nickelodeon. During the Obama years, the network’s prime time slate delivered solid audiences. But it’s taken the election of Pres. Trump, and the coverage of his administration, to make MSNBC a consistent Top 5 network. MSNBC was up +51 percent in total prime time viewers and up +37 percent in the prime time demo. Across the total day, MSNBC saw +47 percent growth in viewers, and was up +33 percent in the demo. This was also the first time MSNBC scored a yearly victory over CNN in the prime time demo, measuring Monday – Sunday. MSNBC averaged 370,000 adults 25-54 to CNN’s 369,000. Several MSNBC programs set network records. Brian Williams was No. 1 in cable news at 11 p.m. Morning Joe shattered records for the second consecutive year, both in total viewers and in the A25-54 demo, and defeated CNN in total viewers for the 8th straight year. Maddow finished as the No. 2 show on cable news, behind Hannity, in the A25-54 demo. At 10 p.m., The Last Word with Lawrence O’Donnell beat CNN Tonight with Don Lemon, both in total viewers and in the demo. The newly-launched Deadline: White House, hosted by Nicolle Wallace, MSNBC Live with Velshi & Ruhle and The Beat with Ari Melber all defeated CNN in total viewers this year, and delivered the network’s largest yearly audience ever in their respective hours. MSNBC Live with Hallie Jackson at 10 a.m.; Andrea Mitchell Reports at 12 p.m.; and AM Joy, hosted by Joy Reid at 10am on Saturdays also defeated CNN counterparts in total viewers. In addition to the aforementioned shows, MTP Daily, hosted by Chuck Todd, Hardball with Chris Matthews, All In with Chris Hayes also delivered the network’s largest audiences ever in their respective timeslots. NEW YORK (December 20, 2017) – MSNBC scored a ratings victory in the post-election year of 2017 by overtaking CNN in key dayparts and delivering record ratings among total viewers in every hour during the week. According to Nielsen for 2017 to-date, MSNBC beat CNN in total viewers during the key dayparts of weekday prime (M-F 8-11pm) and total day (M-Su 6am-6am). Several MSNBC programs also bested CNN in the key demographics of Adults 25-54 and Adults 18-49. MSNBC finished the year as the #2 most-watched network in all of cable for weekday prime, up from #8 in 2016. Prime on MSNBC delivered the network’s best ratings ever in the time period and beat CNN in both total viewers and A25-54 – the 1st time MSNBC has surpassed CNN in the key A25-54 demographic since 2013. MSNBC averaged 2.1 million total viewers, over +900,000 more than the CNN total of 1.2 million. This was MSNBC’s biggest annual win over CNN ever in the network’s 21-year history. In A25-54, MSNBC averaged 466,000 and ranked #9 among all cable networks, up 10 places from #19 in 2016. Year over year, MSNBC was the fastest growing network among all of cable in both total viewers and A25-54. In cable news, MSNBC was the only cable news network to grow year over year in weekday prime, while FOX News and CNN were down in both total viewers (MSNBC +55% vs. CNN’s -17% and FOX News’ -2%) and A25-54 (MSNBC +43% vs. CNN’s -14% and FOX News’ -1%). Additionally, MSNBC’s gain of more than +700,000 in total viewers during weekday prime over 2016 was the 2nd highest ever year-over-year growth among all of cable in the past decade (after ESPN’s growth of +860,000 following their addition of Monday Night Football in 2006). No other cable network was even close to MSNBC’s gain of over 700,000, with Hallmark Movies coming in 2nd, gaining +120,000. In total day (M-Su 6am-6am), MSNBC topped CNN for the 1st time since 2012. MSNBC averaged 889,000 in total viewers and 203,000 viewers for A25-54, the network’s best total viewer and A25-54 audiences in the 21-year history of the network. MSNBC also posted more year-over-year growth than FOX News and CNN combined in total viewers and A25-54. MSNBC was the top cable network at 9pm, with “The Rachel Maddow Show” leading the way. “Maddow,” which earned two News and Documentary Emmy Awards this year, also beat CNN in total viewers for the 8th straight year. 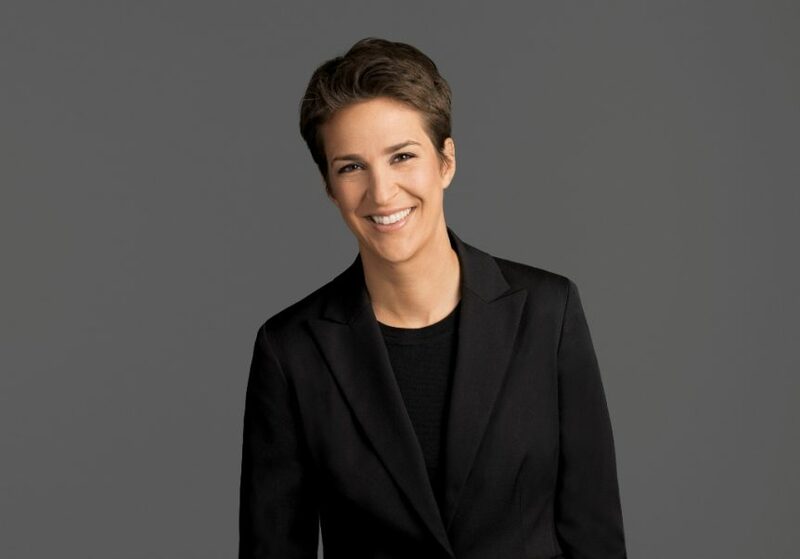 “Maddow” delivered MSNBC’s highest total viewer and A25-54 audiences for any show ever on MSNBC, averaging 2.5 million total viewers (vs. CNN’s 1.2 million) and 586,000 viewers A25-54 (vs. CNN’s 407,000 and FOX News’ 581,000). MSNBC with “The 11th Hour with Brian Williams” finished #1 among regularly scheduled shows at 11pm in total viewers and beat CNN in A25-54. “The 11thHour,” which celebrated its one-year anniversary this September, delivered MSNBC’s biggest total viewer and A25-54 audiences ever in the time period, averaging 1,557,000 total viewers (vs. CNN’s 913,000 and FOX News’ 1,486,000) and 351,000 viewers A25-54 (vs. CNN’s 335,000). This is the 1st time MSNBC has beaten FOX News in total viewers in an evening hour since 1999. “Morning Joe” shattered MSNBC’s ratings record during the time period by delivering the highest total audience and A25-54 delivery in the network’s history from 6am to 9am. “Morning Joe” celebrated its 10-year anniversary this year by dominating CNN in total viewers for the 8th straight year. The program averaged nearly 1 million total viewers (vs. CNN’s 634,000) and 226,000 A25-54 viewers, posting more growth than the competition in total viewers (+44% vs. CNN’s +25% and FOX News’ +25%) and more growth than FOX News in A25-54 (+36% vs. FOX News’ +32%) year over year. “The Last Word with Lawrence O’Donnell” at 10pm beat CNN in total viewers for the 8th straight year and in A25-54 for the 1st time since 2013. “The Last Word” posted MSNBC’s biggest ratings ever in the time period for both total viewers and A25-54, becoming MSNBC’s 2nd show after “Maddow” to average more than 2 million in total viewers (2.1 million) and 453,000 viewers A25-54. MSNBC dayside (M-F 9am-5pm) was the 2nd fastest growing network in all of cable with total viewers (after Oxygen). Dayside ratings hit a record for the network by averaging 872,000 total viewers and 172,000 for A25-54. Compared to 2016 in total viewers, MSNBC dayside grew more than FOX News and CNN combined (+54% vs. CNN’s +15% and FOX News’ +13%). In A25-54, MSNBC posted more growth than either of the competition (+42% vs. CNN’s +29% and FOX News’ +26%). Every show on the MSNBC dayside schedule hit a record rating in both total viewers and A25-54 and all hours grew faster than the competition. The following MSNBC programs bested CNN for the year among total viewers for the first time: “MSNBC Live with Hallie Jackson” at 10am; “Andrea Mitchell Reports” at 12pm; and “AM Joy” at 10am on Saturdays. Recently premiered shows “Deadline: White House” at 4pm, which launched on May 9, 2017; “MSNBC Live with Velshi & Ruhle” at 11am, which launched on June 5, 2017; and “The Beat with Ari Melber” at 6pm, which launched on July 24, 2017, beat CNN in their respective time periods since their premieres. Many of MSNBC’s key programs also beat CNN in total audience for the year: “Morning Joe” from 6-9am (for the 8th straight year); “MSNBC Live with Stephanie Ruhle” at 9am (for the first time since 2012); “MTP Daily” at 5pm (for the first time since 2013); “Hardball with Chris Matthews” at 7pm (for the 8th straight year); “All In with Chris Hayes” at 8pm (for the first time since 2014); “The Rachel Maddow Show” at 9pm (for the 8th straight year over CNN, with the show’s biggest win over CNN at nearly +1.4 million total viewers); “The Last Word with Lawrence O’Donnell” at 10pm (for the 8th straight year); and “The 11thHour with Brian Williams” at 11pm (for the 1st time since 2012). MSNBC.com had its strongest year ever with digital video starts, with an increase of +66% year-over-year growth in monthly video starts, according to comScore (desktop only). Viewers also spent more time watching MSNBC.com video per month (41.6 minutes) than the rest of its competitive set, including CNN.com (17 minutes per viewer), CNNPolitics.com (15 minutes per viewer), FoxNews.com (16 minutes per viewer), and FoxNewsPolitics.com (15 minutes per viewer). NOTE: 2017 year-end ratings are based on Nielsen Live+Same data day for 12/26/16-12/17/17. Individual show data represents regular programming only, excluding conventions, debates, election night and breaking news.